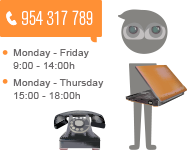 Innopro Advanced is focused on helping other companies to improve their business models on the internet, social networks and mobile devices through the use of new trends and technologies. Our extensive experience in engineering and our pure approach to development allows us to offer the best product, unique to each of our clients, designed to improve the products and services they offer to their customers, their internal procedures and company management, and their marketing campaign designed to improve sales. 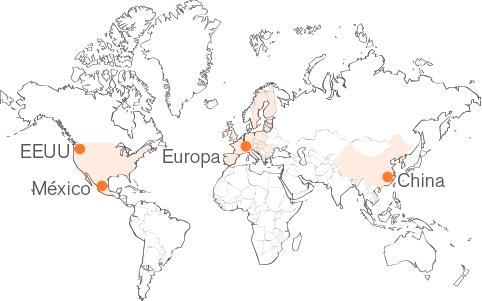 Currently, Innopro Advanced develops products for Europe, USA, Latin America and China. As a national reference company in selling food products to hotels and restaurants, the requirements to cover the needs of each customer are very large. 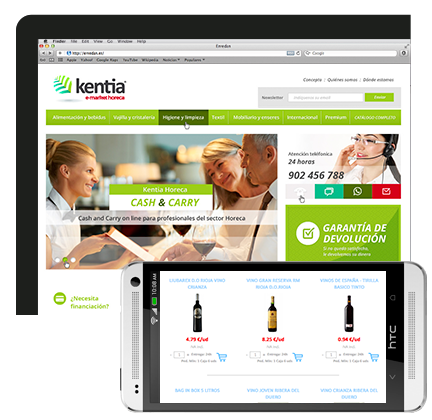 We have developed an eCommerce that enables customers place their orders, matching the catalog products to each of them depending on their location and their particular conditions of purchase. Altra Group is one of the leading companies in Europe in Zone-Based Climate Control Systems that allow their customers to have a different temperature in each room, controlled separately. 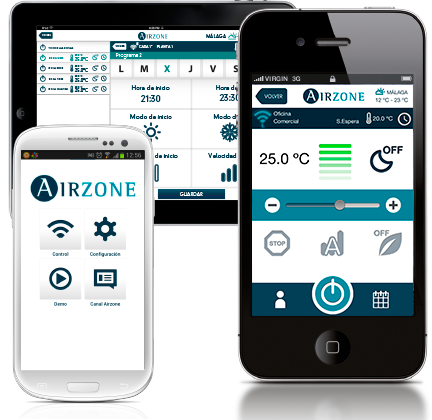 We developed an app for smartphones and tablets, Android and iOS, that allows users to manage from their mobile devices, from any location, their Airzone Climate System. 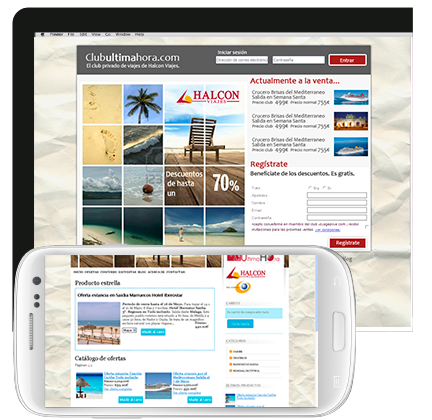 As one of the national reference agencies in the travel industry and the existence of strong competitors they needed to improve the sales of their last minute deals. We have developed an exclusive eCommerce for this deals and launched their Social Media Marketing Campaign. 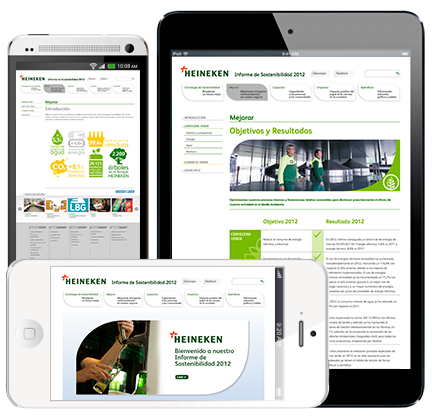 Within their current highly focused strategy to the sustainability of all areas of the company, Heineken needed to improve digital communication channel. We have developed a new sustainability microsite according to new market trends which presents to users all the information regarding this strategy with mechanisms to provide feedback to the company. Legendary Rum is the one of the favorite rum brands for consumers in the south of Spain and needed to improve sales in the rest of the country. 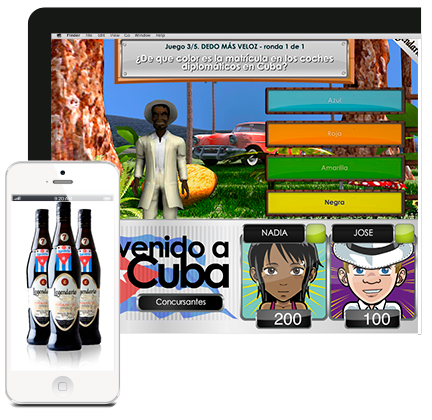 We developed a 3D game for their customer loyalty campaign held for clubs all over Spain, taking advantage of the presentation of its new bottle, which allowed up to 4 players simultaneously. SEPA is the Spanish Association of Clinical Periodontology and Dentals Clinics. After analyzing an R+D project from the University of Bern, Switzerland, they wanted to improve data collection and motinoring in clinics. 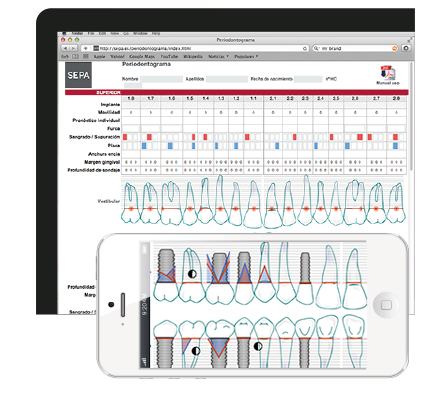 We developed a Digital Periodontal Chart, an advanced version of the Swiss project, which allows doctor to make a more efficiently data collection and monitoring of pacients.